Well, well, well, here we are again. I swear, I feel like I am in that movie, "Groundhog Day". If Ned Ryerson repeatedly stops me on the street and does the whistling belly-button trick like he did at the High School reunion, well, let's just say I won't be surprised. 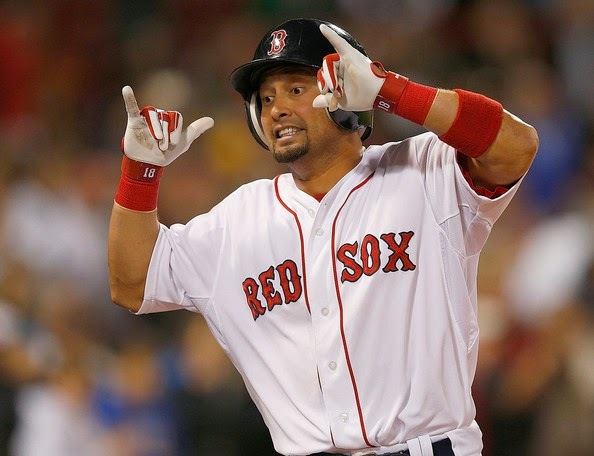 As you may have already heard, Shane Victorino is hurt...again. Thankfully it is not as severe as last year, but it does appear that we are going to be without the Flyin' Hawaiian in the lineup, as least through the weekend. Victorino was scheduled for an off-day Thursday as he apparently tweaked his right hamstring while trying to steal second base in the Red Sox game against Tampa Bay Wednesday night. The Red Sox will take it easy with Vic since he is no stranger to hamstring issues, not to mention he is still recovering from his back surgery last July. "It's frustrating. I was feeling good, feeling great and it's basically more of the same. You work hard and you feel so good out there, you're doing everything, and they you go and steal a base and you feel it. You're like, 'What? Where did this come from?'" 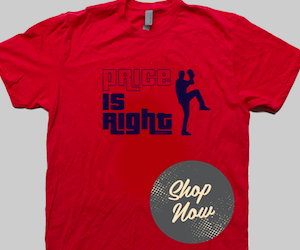 With 16 games into the season and Victorino already experiencing hammy issues in the same area as last season, it is leaving the whole of Red Sox Nation wondering, "Is is time to start looking for fresher legs in Right Field?" It may be too soon to tell, but we would all be lying to ourselves if we said we weren't concerned. One can't help but love this guy. 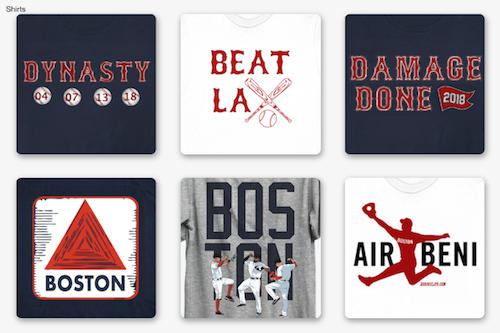 Victorino plays hard. He beats himself up game after game (remember his crash into the wall Monday while trying to rope in the Caleb Joesph homer in the series against the Orioles?). He takes hits that would've put ol' Jacoby DL'sbury in a body cast for a year. But at 34 years old, coming off back surgery, and dealing with continually pesky hammies, can Victorino's body continue to handle his level of play? Vic has played in 12 of the Sox's 16 games this season and is currently batting .143 (5-35) with no home runs and 2 RBI's. It's a slow and rocky start for the Flyin' Hawaiian, and we can't help but wonder what the rest of the season will hold. In the meantime, it looks like Daniel Nava will get the nod in right until Vic's return sometime this weekend.